From Oakland’s perspective, there’s much to dislike about the Warriors’ impending relocation to San Francisco. The move could chill East Bay support, kill the franchise’s soul, and ruin its fabled home court advantage. And, as recently stated in an Express column, placing “The Town” logo on Dubs jerseys this year has been an empty gesture, especially because the Warriors are trying to avoid paying the $40 million public debt they’ll owe after they leave. Such putdowns over the long term could hinder public relations for owners Joe Lacob and Peter Guber at the worst possible time, as they’re privately financing the $1 billion Chase Center, the 18,064-seat waterfront arena under construction a mile south of AT&T Park. 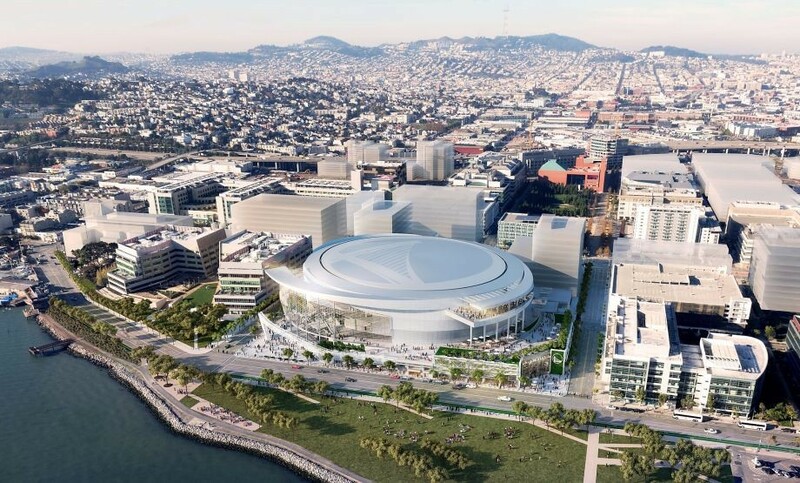 But those slights might pale in comparison to the harsh words of Allen Jones, a longtime San Franciscan who has channeled his disdain for the Warriors’ move into authoring Proposition I, an uncommonly critical ballot measure that San Franciscans will consider this June. The unusual proposition might be the nation’s first to ask voters to apologize to a neighboring city for taking one of its sports teams, and the potentially pointed slam from San Franciscans could damage the Warriors owners’ grandest ambitions for their Mission Bay entertainment complex. The measure presents a direct challenge to San Francisco voters, asking them to follow a “Thou Shall Not Covet Policy” with other cities’ sports franchises. The proposition needs 50 percent plus one to pass. Jim Erickson, a Warriors suite holder, supports Prop. I because of what the team means to Oakland, the team’s home since 1971. Erickson said the Dubs’ impending move will mirror the 49ers’ relocation in 2014 to Levi’s Stadium in Santa Clara, around 40 miles south of Candlestick Park. Jones, 61, was raised in San Francisco’s Mission district in the 1960s and ’70s. And his actions have all the indignation and quixotic passion of old-school, anti-authoritarian San Francisco. In other words, what made Jones a fairly typical San Franciscan in the crunchy 1970s, now makes him an iconoclast — perhaps even an outcast — in the city. Jones’ fiery words and persistent activism, in contrast to his soft-spoken delivery, place him among a dying breed of outspoken, perhaps hyperbolic, San Francisco rebels; those who never got the memo that they’re required to shrug off and accept the sight of average joes being crushed by corporate behemoths. And Jones believes the Warriors’ billionaire owners are doing just that to Oakland and the franchise’s East Bay fans. Even more, he hates that the historically generous and tolerant spirit of San Francisco — named after St. Francis of Assisi, after all — has been dragged into it. Jones, a Warriors fan since the mid-1970s, notes that the Dubs have been loyally supported in Oakland for nearly 50 years, even when they were terrible. In contrast, the Warriors’ nine seasons west of the Bay Bridge during the 1960s were marked by poor attendance, whether playing in downtown San Francisco at what is now the Bill Graham Civic Auditorium or the Cow Palace in Daly City. Jones says all pro sports leagues must change their ways by eschewing greed and showing more loyalty to their home cities. The Warriors’ attempts to avoid paying their Oracle Arena debt to Oakland and Alameda County is a prime example of what not to do, he said. He hopes his fellow San Franciscans agree with him, and they express their solidarity by voting yes on Proposition I in the June 5 election.